Organizations reported a 15-second improvement in average call length each year. Self-service interactions reached 20% of total interactions. Customers reported a reduction in agent turnover of more than 15%. Consultants were no longer needed to support the previous agent platform, resulting in an average savings of $150,000 per year. Make sure Zendesk is right for you. 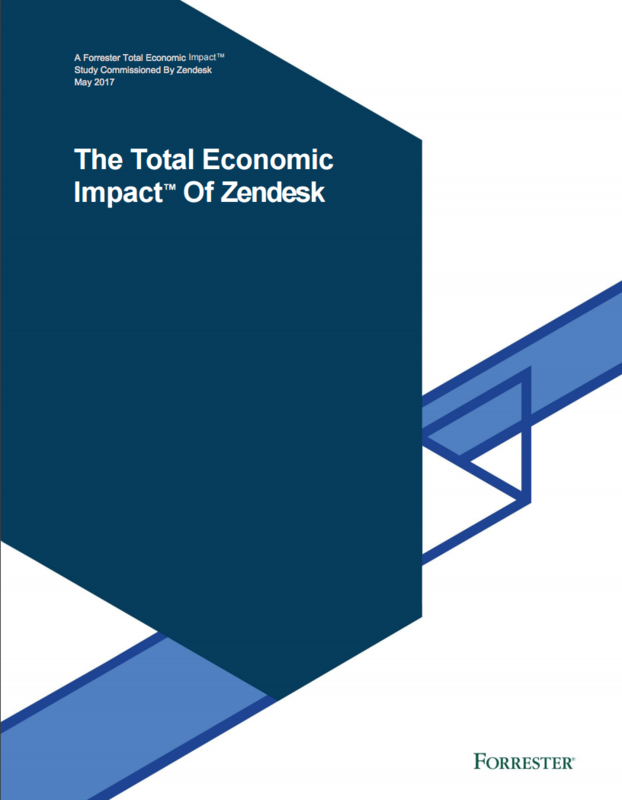 Read about the potential return on investment from implementing Zendesk’s family of products in Forrester’s The Total Economic ImpactTM of Zendesk, a May 2017 commissioned study conducted by Forrester Consulting on behalf of Zendesk.